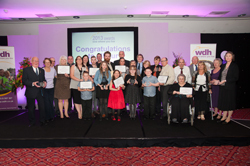 A shortlist of hopeful heroes has been drawn up – now it’s your turn to decide who will be crowned community champions in WDH's Love Where You Live Awards 2014. Voting is now open in the annual search for good neighbours and inspirational individuals, so everyone can join in and give their community heroes the recognition they deserve. 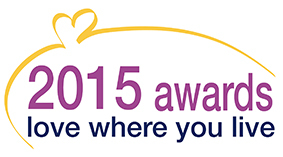 The easiest way to vote is by using the dedicated website - www.lovewhereyouliveawards.co.uk – which has information on each finalist, including the reasons why they have made the shortlist for our awards. There are buttons to help you vote quickly and easily. 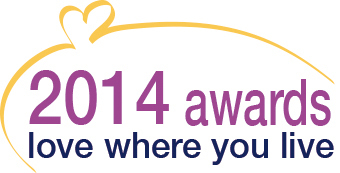 You can also vote at any of WDH’s service access points across the Wakefield district. There’s a great incentive to get involved as the winner of each category will receive £500 to donate to a community group of their choice thanks to our sponsor Wolseley Integrated Services, a specialist division of the plumbing, heating and building materials giant that works with housing associations and local authorities. But don’t delay - voting closes on Friday 26 September, with the winners a nnounced at the Grand Final in October. An eighth category, Best Garden, has been judged by experts and the winners will also be announced at the Grand Final. More than 100 nominations were received for this year’s Love Where You Live Awards, with the finalists decided by members of WDH’s Board and Neighbourhood Panels. To vote for your community heroes or find out more about the event, visit www.lovewhereyouliveawards.co.uk or call into your local service access point.